You all know I love my wine. Growing up in California and born to two booze hounds sophisticated winos, some of my earliest memories involve running around various vineyards and generally playing with the vineyard dog(s). A lot has changed since these, mainly the fact that I’m a Texan now, but I still obsess over each and every dog I see, and I love good wine. 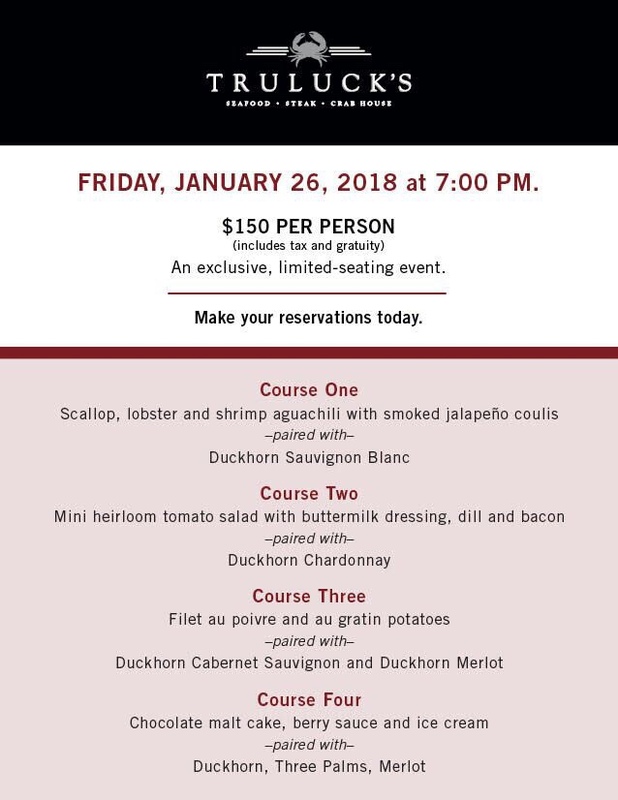 On a personal level, Duckhorn Vineyards is one of my absolute favorite wineries and whenever I see Duckhorn grace a wine menu, I get excited because I know that it will also be gracing my mouth with its presence. 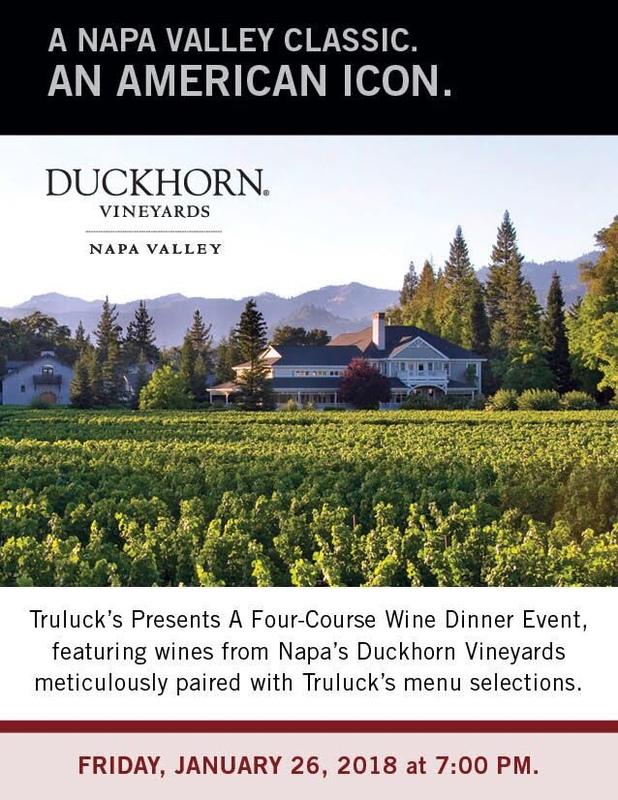 When I saw that Duckhorn Vineyards was going to be doing a wine pairing dinner with the fabulous Dallas staple, Truluck’s, I knew I had to join in the fun. If it looks good on paper, just imagine how fabulous it’s going to be in person. So, what do you say? See you there?